Which 72Mhz Radio Language is best for you? So you’re new to the hobby and have decided to save yourself a good bit of money by starting off with an old fashioned 72 Mhz radio system. Getting twice the radio at half the cost is a pretty decent trade-off for using older yet trustworthy technology. If you think that’s an exaggeration, just take a look at eBay! However, this prompts the age old question. Which radio language is better? Pulse Position Modulation (PPM) or Pulse Code Modulation (PCM)? What are they and what are the differences? The two different radio languages used by 72 Mhz transmitters and receivers to communicate are Pulse Position Modulation (PPM) and Pulse Code Modulation (PCM). Before going any further, take a couple of seconds to get yourself familiar with PPM. PCM and PPM systems operate over the same 72Mhz carrier frequency. Just think of the 72Mhz carrier frequency as a phone line. PCM and PPM are simply different languages, but use the same "telephone line" to communicate. Servo's on the other hand are not bilingual. The only language servos understand is PPM. Yep, even digital servos communicate with the receiver in PPM. With a PCM system, the receiver performs two tasks. The first task is obviously to receive the signal from the transmitter. But a PCM receiver also acts as a translator. 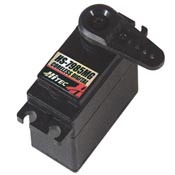 The receiver translates the Pulse Code Modulation language to Pulse Position Modulation language before sending the information to the servos. Pulse Position Modulation used to be the only radio language used with FM(Frequency Modulation). So Pulse Position Modulation (PPM) was referred to as "FM", as opposed to AM which is also available. When PCM technology came along, people continued to refer to PPM as simply "FM". The new Pulse Code Modulation radio language was referred to as "PCM". Most people still refer to these two radio languages as "FM" and "PCM". This is confusing because an FM radio system can be either Pulse Code Modulation or Pulse Position Modulation as both operate on the same 72Mhz frequency band. What is Pulse Code Modulation? Instead of using the amount of time that the pulse is on to dictate a position(like PPM does), PCM uses binary numbers to represent each position of the servo. Binary numbers are integers or whole numbers. There is a finite or limited amount of numbers available to represent the servo position based on how many bits the system has available. The amount of numbers or positions available will be 2 to the power of #bits. If it is a 10-bit system there will be 2^10=1024 numbers available. Let’s just say we have a 10-bit system with 1024 servo positions. This is digital because there are only 1024 different positions that the servo can be positioned, with nothing in between those numbers. In contrast, a PPM system has an infinite amount of positions available which makes it is analogue. Some folks are mistakenly under the impression that PCM is better for resisting interference. This is not the case. Pulse Code Modulation and Pulse Position Modulation both broadcast on the same 72Mhz frequency, so are subject to the same interference. How the systems deal with the interference is the difference. The advantage of a digital signal is that it can be reproduced perfectly. The information is always decoded as a 0 or 1. There are no gray areas in between to create noise. This means that the information arriving at the receiver is exactly the same as the information leaving the transmitter. In contrast, a PPM analogue signal could be distorted by slight interference before it arrives at the receiver. The Pulse Position Modulation receiver will pass all of the information it gets to the servos, including interference. A pilot using a PCM radio will have much finer and more precise control over the airplane. However, there is a huge drawback. As mentioned earlier, a PCM receiver must translate the signal from Pulse Code Modulation language to Pulse Position Modulation language that the servo understands. Well, if one small byte of information is corrupt, even if it is only for one servo, the translator inside the receiver gets all confused! If only a couple of messages or sequences of information is corrupt, the pilot will never notice because the servos will stay put at the position of the last known good signal for a very short period of time (20ms for each bad or corrupt message). The interference is still there but is masked by the receiver. If the signal is corrupt for an extended period of time a PCM receiver will enter “safe mode”. Safe mode moves all of the servos to a predetermined position. At this point Sir Isaac Newton is piloting your airplane! Since he’s been dead for a while this is not a good thing! Have you ever been watching digital or satellite television when the signal gets interference? The picture will either freeze, go blank, or garbage will be displayed on the screen. Digital is an “all or nothing” technology. 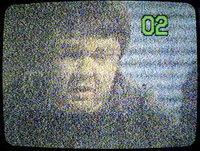 When you're watching analogue television form the local broadcast tower the picture may become fuzzy as interference increases. When this happens you can still watch the program and understand what's going on even if it's not a perfect picture. Just like a fuzzy TV reception, the control over the airplane may not be perfect, but it may be possible to land the airplane safely should you encounter some interference. Since a PCM system masks interference, the pilot never knows when he is experiencing slight interference. A pilot using a PPM system will see the slight interference in the form of small glitches and can land the airplane before the interference gets worse. Why Buy a PCM System? If PCM systems are more expensive and seem to be more risky, why would anyone want to buy a PCM system? In some situations a small glitch could send an aircraft to the ground. A helicopter hovering inverted 12” off the pavement would definitely be a situation where you can’t have any glitches! A 3-D plane touching its tail on the pavement while doing a torque roll would be out of luck if the airplane glitches even for a millisecond! If the pilot is participating in an aerobatic competition where every move must be perfect, he will probably want a PCM system. In all of these cases it is better to have PCM which "ignores" slight interference that may cause "glitches". If you're new to the hobby and going the 72MHz route, I'd lean towards getting a regular FM RC radio system (PPM). PPM systems are usually cheaper than PCM and are also a bit less risky as they allow you to have a fighting chance to save your model should you encounter moderate interference. However, if you run upon a great deal for a PCM system, go for it. Just be extra careful with following frequency control protocols where you fly and you will most likely have no problems.